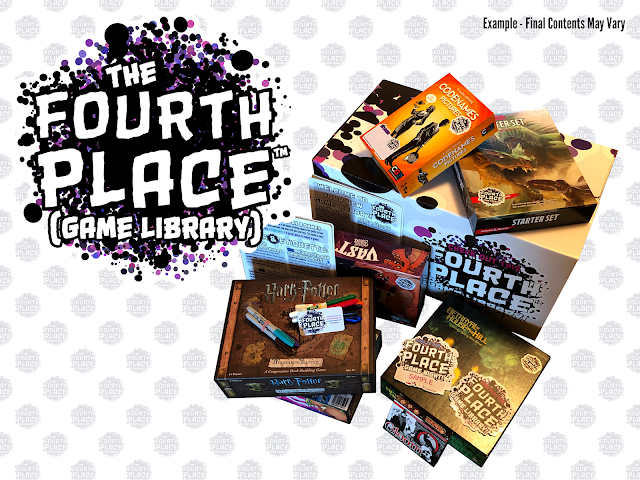 A month ago I was approached by Ian Struckoff to check out his new venture—The Fourth Place. 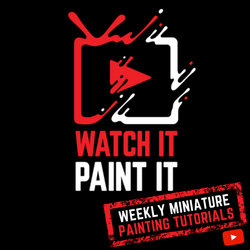 This service takes popular games and upgrades them with card sleeves, special tokens, inserts, and other great bling in order to make them (Game Night Ready)™! 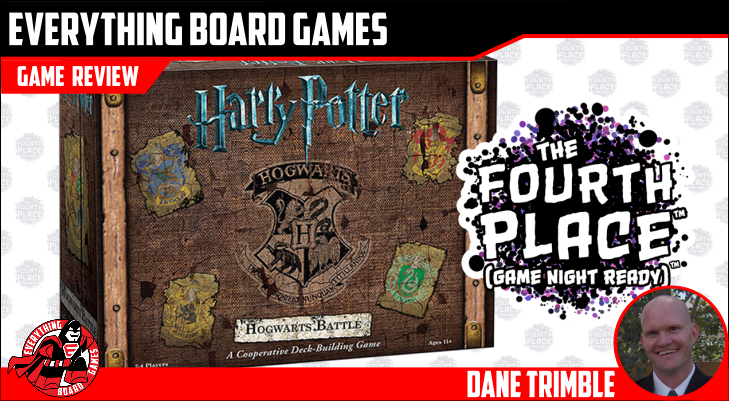 He sent me Harry Potter Hogwarts Battle to check out, you can see what I thought below. 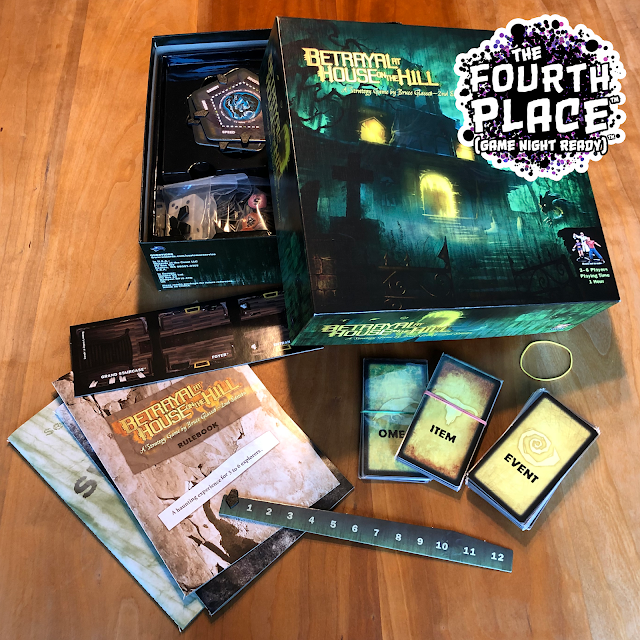 Currently The Fourth Place offers the following games as (Game Night Ready)™: Betrayal at House on the Hill, Vast: The Crystal Caverns, Codenames: Pictures, Gloom, One Night Ultimate Werewolf, D&D Starter Set, and Harry Potter Hogwarts Battle. 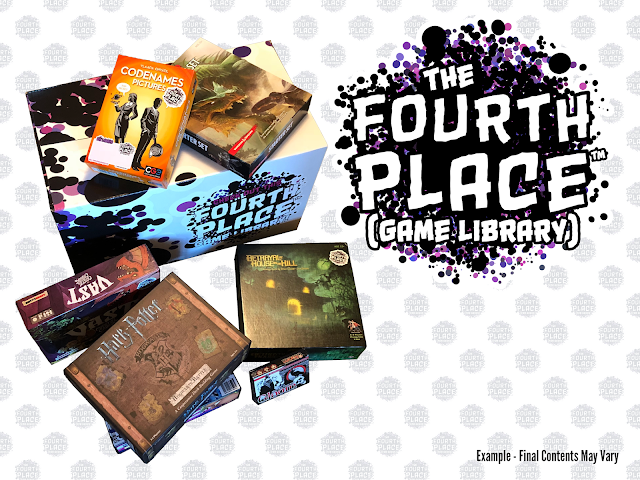 The Fourth Place also has an INDIEGOGO project running through November for their (Game Night Ready)™ Libraries. 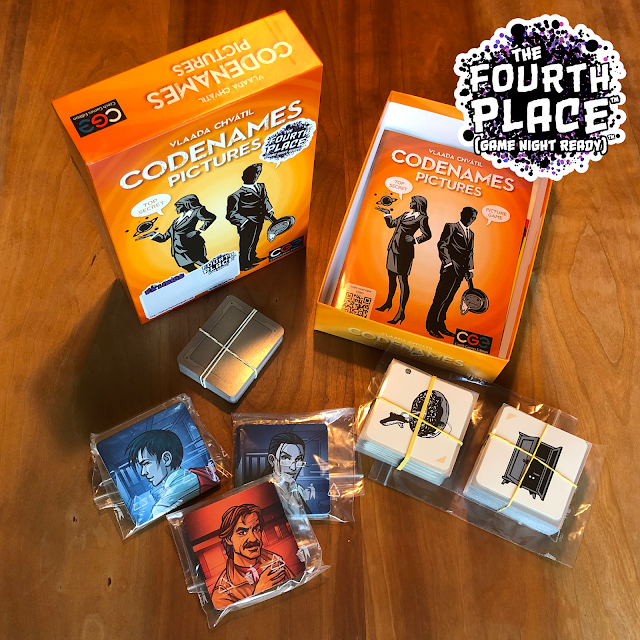 Each game comes (Game Night Ready)™, with premium card protectors, laminated papers, an 'Ex Libris' label, and other add-ons like baggies and rubber bands. 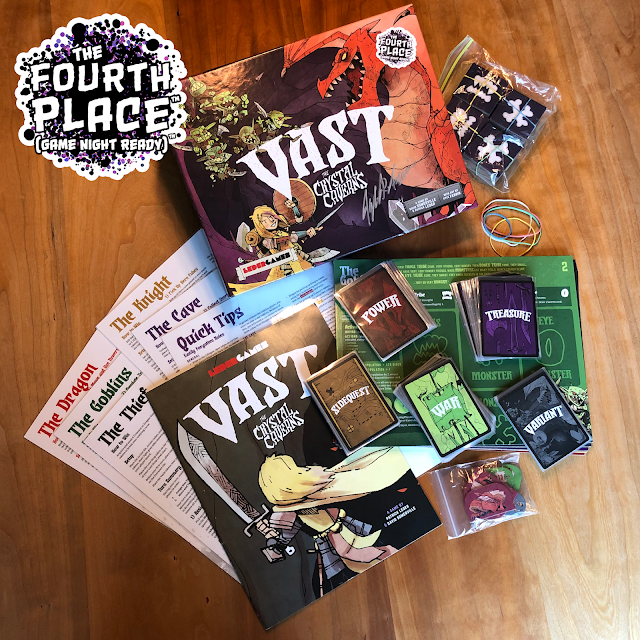 Every kit comes with a custom The Fourth Place library box, the Gamefolio Vault Duffel Bag, or the full Init Gamefolio system including Gamefolio Cases. Business kits come with high-quality vinyl promo stickers, guides for the owner and players, and some bonus stuff like markers. We also assemble the games and protectors to make sure they don't sit on your shelf until someone has time. Individual kits slim back on that stuff, but still include some The Fourth Place schwag." 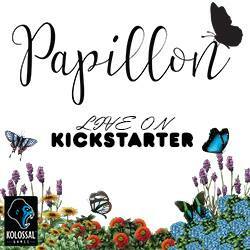 Be sure to check out The Fourth Place ONLINE and on INDIEGOGO and get your games "Game Night Ready"!! !